C-MOR’s Patent Pending Mobile Tower Light Systems are mobile light towers with multiple versions extending and articulating 40 to 125 feet above ground. The mobility of the system allows for site lighting flexibility to achieve maximum light coverage where needed most. Our proprietary, 5- year warrantied LED lights were developed with Safety as the primary concern. The customization, engineering and flexibility of design, eliminate the need for conventional light towers. Our lighting engineers carefully studied site location designs to precisely angle each LED lamp in directions which limit shading, shadowing and slows light dissipation. In doing this our system achieves maximum light extension over 150 yards in all directions from its base. This lighting system significantly limits any dark areas which have been known to cause accidents such as slips and trips. Our customers on the production side were instrumental in the development of this system. The concerns and requirements of our customers who were utilizing light plants for location site lighting, led to the development of a concept that better fit their needs and meets their light demands. 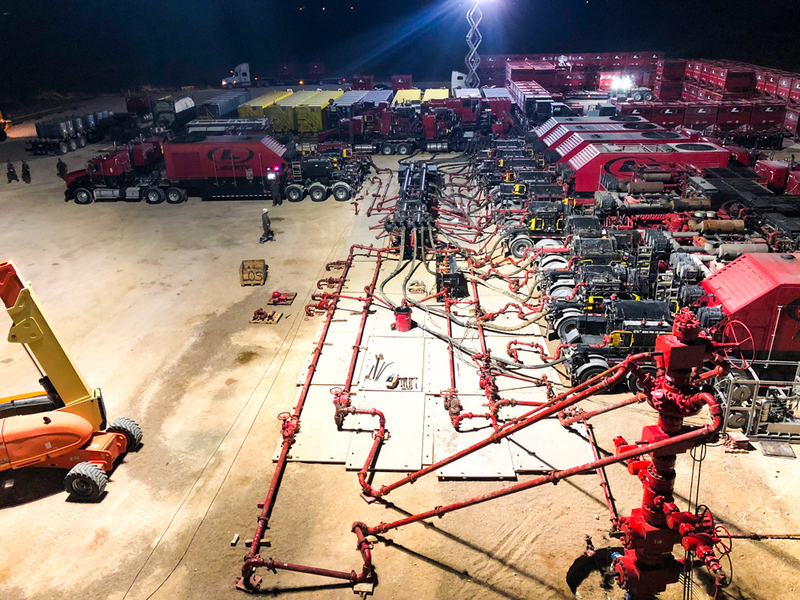 In doing so we utilized the C-MOR Patent Pending Crown Jewel System and incorporated it into articulating and straight mobile lifts to achieve maximum light coverage of the site. Given the amount of equipment on Frac Locations, often light from a tower like structure is blocked by the location. The ability of our mobile structures to get above the equipment and project light downward, eliminates dark spots which standard light towers are unable to accomplish. Furthermore, its mobility easily allows for flexibility in changing site conditions, or equipment placement requirements. 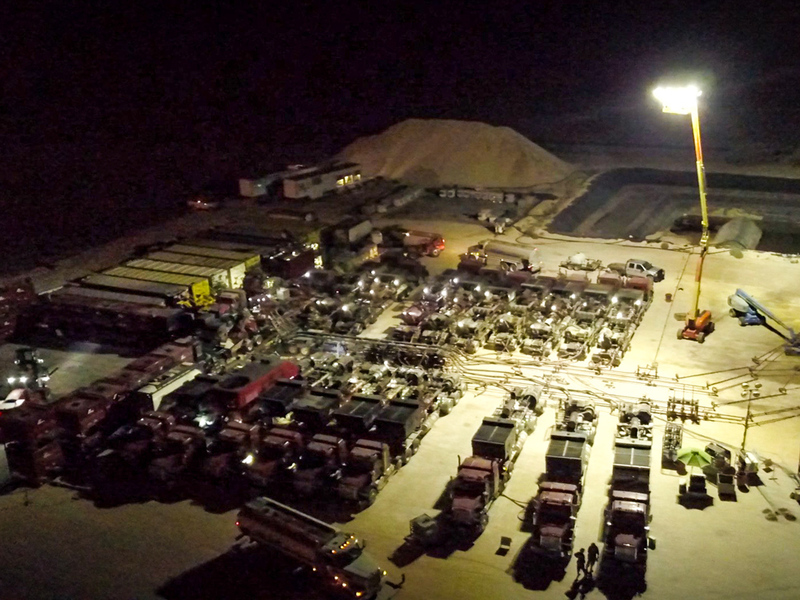 Operators have been ecstatic that they can now remove 12-15 light towers from their site and replace it with 1 mobile light tower which provides significantly more light, flexibility and coverage. 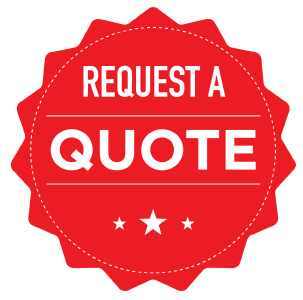 We build and fabricate equipment with timely delivery to meet or exceed your specifications, and to help meet the demands of our customers’ projects. 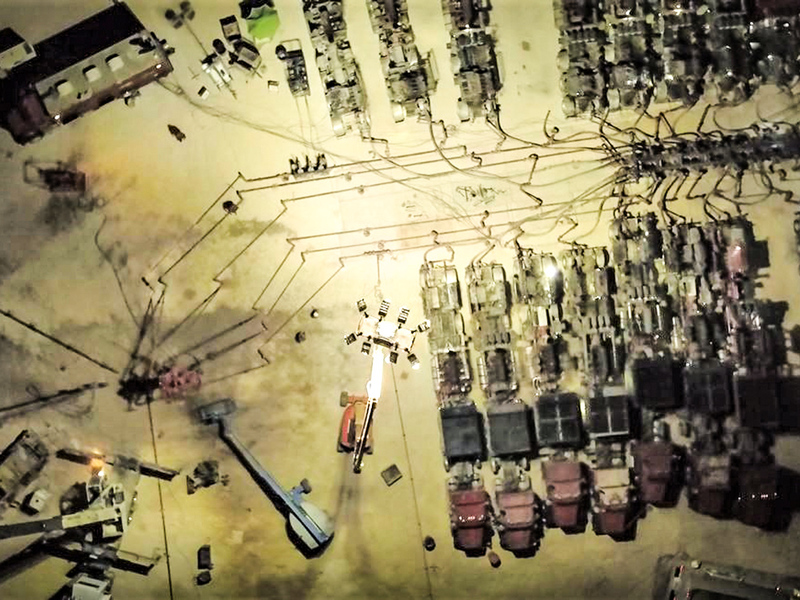 Rent — Sell — Service — Haul — Manufacture Equipment for Oil and Gas Sites. © Copyright 2018 JCA Companies | Website designed by EnerCom, Inc.